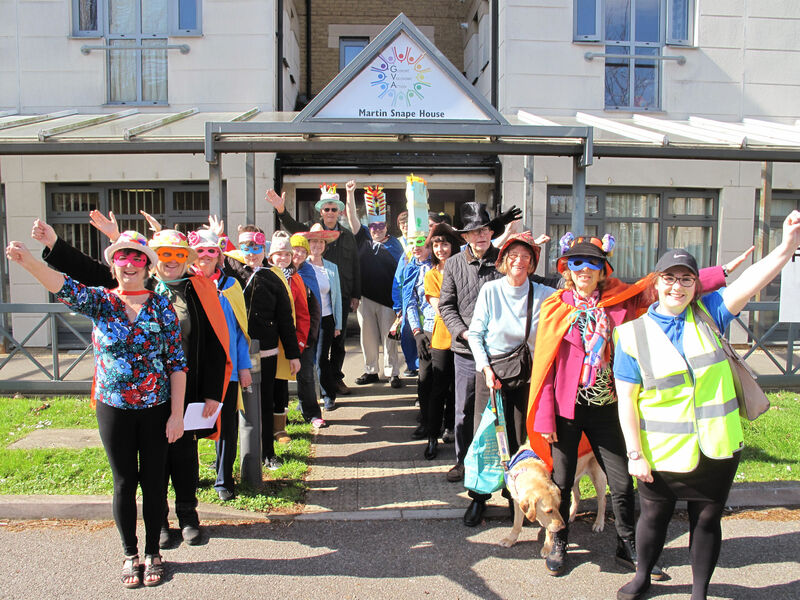 Gosport Voluntary Action’s VoluntHeroes joined in the fun of Wear A Hat Day for the Brain Tumour Research charity on Wednesday 27th March by walking up Gosport High Street in amazing multi-coloured decorated hats. 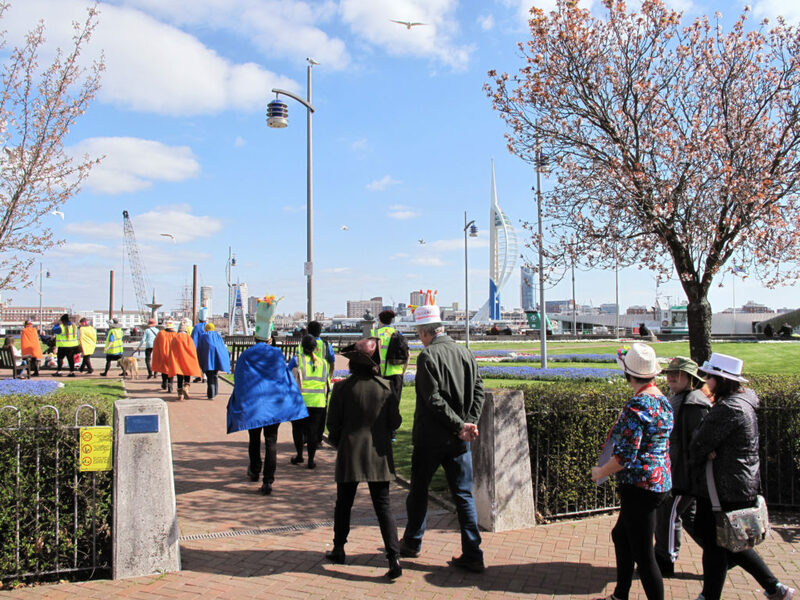 They were accompanied by members of Loud & Proud, Gosport’s volunteering group for 16-25 year olds, and other supporters who joined in the fun and kindly made a donation to the charity. 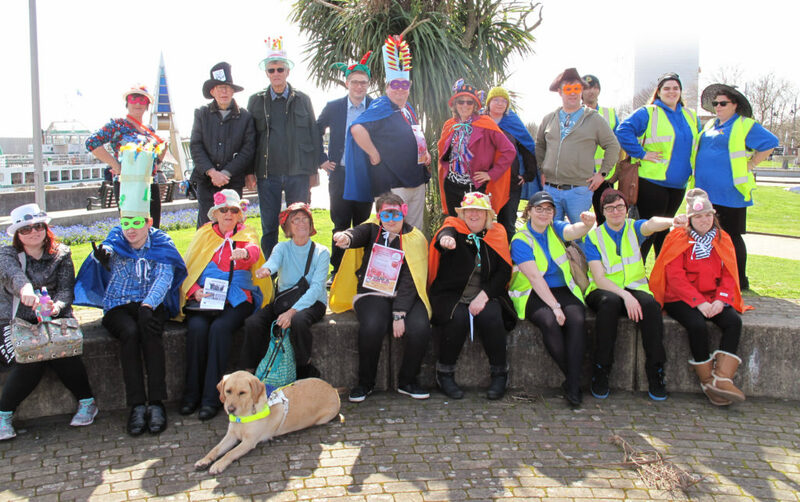 Sue Greene, VoluntHeroes Coordinator, said: “In addition to our wonderful hats, we also wore our VoluntHeroes capes and masks, so attracted a good deal of attention along the High Street. There was plenty of warm sunshine and luckily not too much wind so we didn’t lose our hats! We had lots of fun and at the same time felt we were supporting a very worthy cause. At the end of our walk we had refreshments back at Gosport Voluntary Action and took part in a Hat Quiz (I am proud to say that between us we raised £122 in donations for research into brain tumours). VoluntHeroes is a supported volunteering group for people who would like to get involved in community activities but need support to do so. 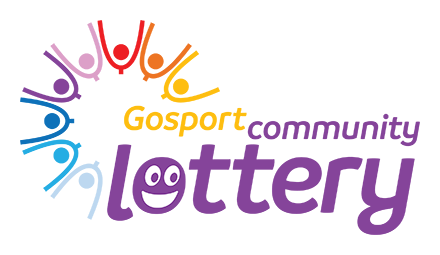 For more information please contact Sue Greene at Gosport Voluntary Action. Tel. 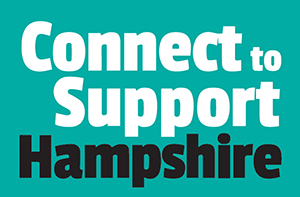 02392 604694, 07505 021669 or email volsupport@gva.org.uk. Wear A Hat Day is the UK’s premier brain tumour research fundraising event, supporting research to improve the lives of patients and help find a cure. It has raised over a million pounds since it was launched by Brain Tumour Research ten years ago and is the culmination of Brain Tumour Awareness Month in March. The big day sees schools, workplaces, families and individuals across the UK fundraising and taking part in fun events to raise awareness of brain tumours and help fund life-saving research.